Sonny is surprised to see Carly has been arrested. He complains about how Michael wanted him dead. Sonny blames himself for egging Franco on and not killing him when he had the chance. The two declare their love for each other, but Sonny decides love may not be enough. Carly says she brought Franco into their lives, because he filled the Jason-sized hole in her heart. Carly tells him about Franco helping Nina, which angers Sonny even more. He mentions how Duke has been arrested and Alexis refuses to help him. Kiki is shocked to find Rosalie and Michael in bed together. Rosalies quick to head out and Michael gets angry when Kiki calls her a tramp. Michael tells Kiki he doesn&apos;t love her anymore. She pleads with him, saying she lied to protect him. Michael reminds her he holds honesty very highly. They are over. Michael tells her to go talk to Morgan. She claims there&apos;s nothing between her and Morgan. Michael says his brother is welcome to her. 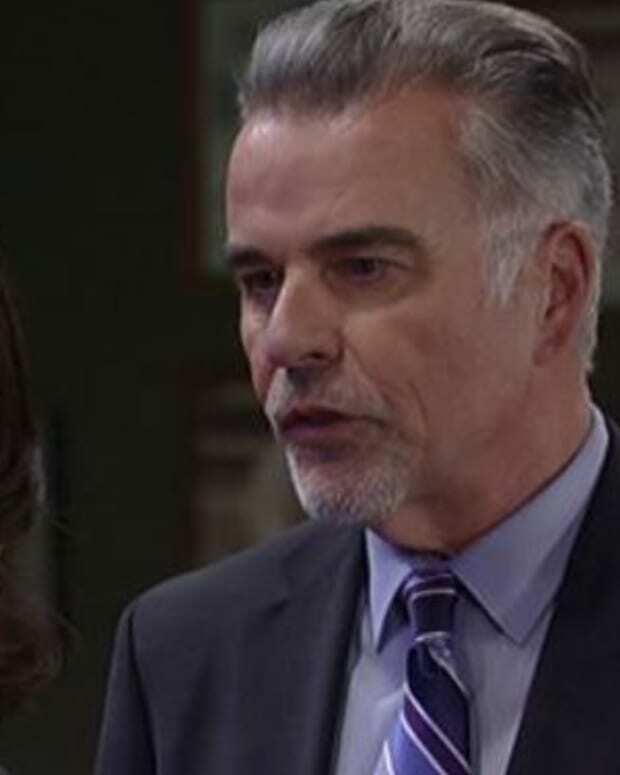 Alexis tells Duke in order to save himself, he&apos;ll have to testify against Sonny. 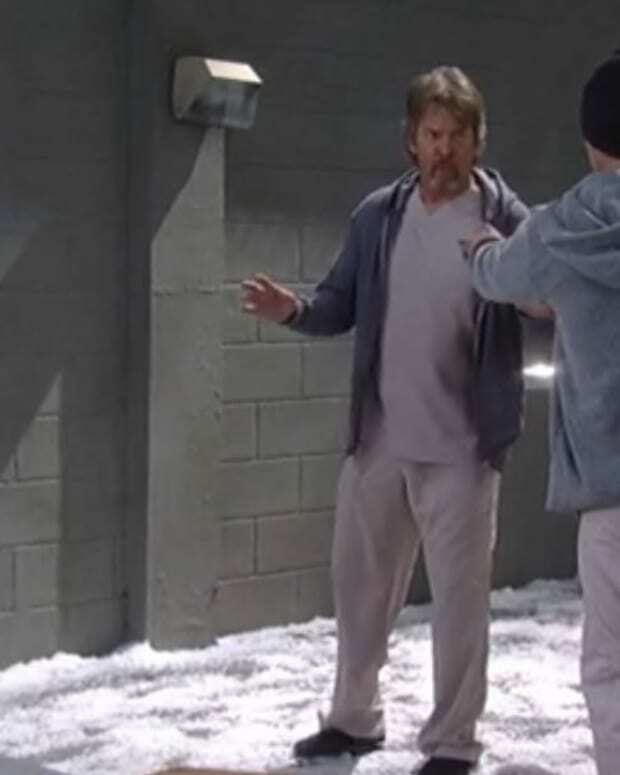 Duke refuses to turn on Sonny. Alexis says he&apos;ll go down with Sonny, if he doesn&apos;t save himself. Lucy wants to see Duke. Anna tells her he&apos;s with his lawyer. She questions why Lucy would hire a lawyer for Duke in the first place. Lucy says Duke is her friend. She has his back. Lucy hugs Duke. She gets upset when Alexis tells her Duke refuses to help himself. A government agent pays Nikolas and Britt a visit. Agent Sloan explains he&apos;s been investigating the WSB and Victor&apos;s involvement. Sloan tells them he has information on what Robert and Anna did to Faison. Nik and Britt think Faison was returned to super maximum security prison. Sloan says he believes Faison was murdered. He wants to bring a case against Anna for fraud, corruption and murder. Jason is discharged from the hospital and on his way to stay at Liz&apos;s house. He spots a photo of Alan and says he looks familiar, as do Edward and Lila. Liz mentions the Quartermaines are a prominent family; maybe this is why he recognizes them? 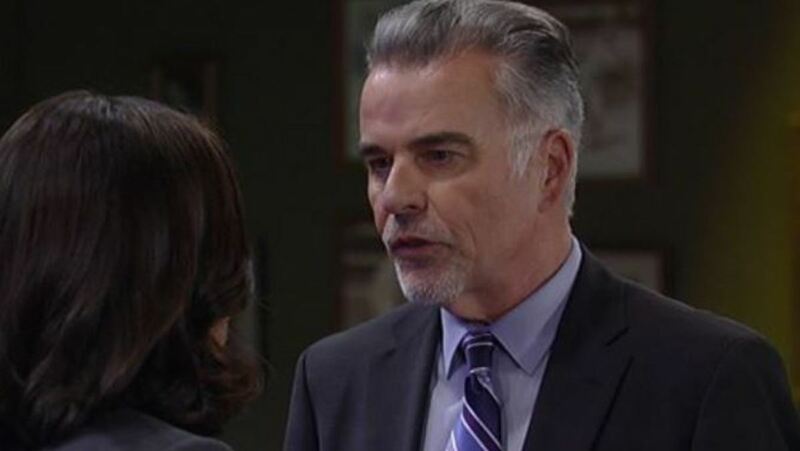 Liz reassures him they&apos;ll find out who he is. At her house, Jason spots a photo of himself and Liz which seems to affect him. Sonny complains he&apos;ll never see Michael again. Michael arrives to pay them a visit.